The park is adjacent to the Rogers Activity Center at 315 W. Olive. The Splash Park features 10 in ground sprinklers, 3 water buckets and 2 moveable water cannons. Foot traffic only; no skates, bicycles, skateboards, or other “wheeled” conveyances are allowed inside the Splash Park. 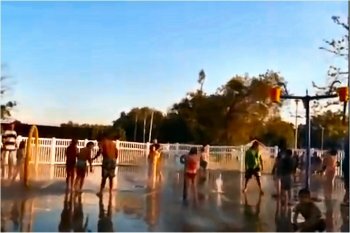 There is no fee to use the splash park. open 9 am to 8 pm, 7 days a week. 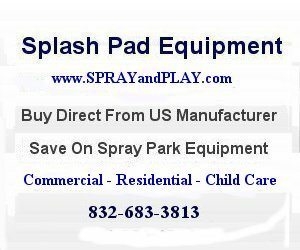 This entry was posted in Arkansas and tagged Rogers Splash Park, splash pad, spray grounds, spray pool, water feature, waterplay. Bookmark the permalink. How much is it for the splash pad? There is no fee to use the splash park!